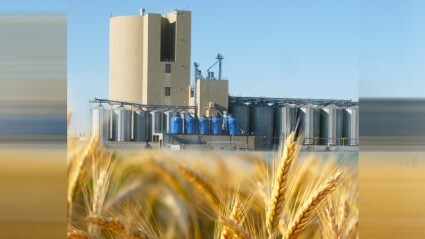 Recently we ratified a new Collective Agreement at Rahr Malting. The union negotiating committee was unanimously recommending acceptance of the settlement. Highlights of the new 3 year deal include improved seniority language, financial improvements in both clothing allowance and boot allowance and employees will also see monetary increases in Sunday Premium. An employee’s minimum pay for a call-in was increased to 5 hours. There were meal allowance increases, additional vacation, and increases to bereavement leave pay. The new union contract also saw improvements in the area of health benefits. One of the more interesting achievements provides that union members are now eligible to take their birthday as a paid statutory holiday and stay at home or they may come in and work the day at premium rates. All members will also receive lump sum increases to go along with retro-active pay increases in each year of the contract. And another interesting note is that some maintenance employees will receive a nearly $4.00/hour increase retroactively (to the beginning of the contract), in order to bring them in line with the industry standard. They will also receive percentage increases going forward in each year of the contract. All in all, it was a significant achievement on the part of the bargaining committee.